Spring has officially sprung (so say my allergies) and April is upon us. There is so much going on this month that we’ve got to get right to it. Here’s what you can look forward to this month and ways we hope you’ll dive in with us this April! True confession: As our team sat together a year ago to look at all of the character traits we’d be studying this year in Watermark Kids, “Goodness” was our toughest challenge. How do you define “goodness”? How do you tell kids to be “good” without it sounding like an episode of Mission: Impossible? After all, Jesus responded to a man who called him “Good Teacher” by reminding the man that “no one is good except God alone” and then some talk about a camel going through the eye of a needle (see Mark 10:17-31). See what I mean! Impossible! The stories of Easter (Jesus’ triumphal entry, His crucifixion, His resurrection, and His restoration of Peter) provide a beautiful context for us to teach truths about the praiseworthiness of our good God, about a sovereign God who is always working for our “good” even in the darkest hours, and about our “goodness” being an overflow of God’s goodness to us. Get a head start with your kids memorizing this month’s memory verse and remind your family that with God, the impossible is possible (Mark 10:27). GOODNESS: A heart that reflects the excellent character of God. Speaking of Easter, we’re just a few weeks away from what for us as believers should be the most celebrated season of the year. 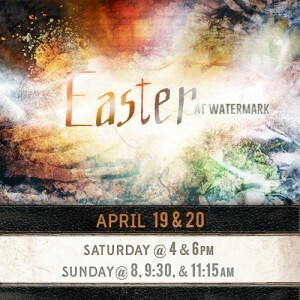 That weekend is always an exciting one for us in Watermark Kids, and this year is no exception. Make your plans to join us at 4:00 or 6:00 Saturday or at 9:30 or 11:15 on Sunday (there is no kids ministry available at the 8:00 service on Sunday). And don’t forget to encourage your kids to think of who they could invite to church that weekend. We can’t wait to celebrate our risen Savior with your family! This time last year, we challenged all of our K-5th graders to tackle the task of memorizing Ephesians 2:1-10. Hundreds did and we got to celebrate the results over donuts or cookies with those who took on the task. We’re back at it again this April with the “Goodies for Goodness” challenge. This year, we’re asking your kids to memorize Psalm 103:1-12, an integral passage of Scripture that encourages us to “never forget the good things he does for me”. Everyone who completes the challenge by the final Sunday of the month will get to enjoy a donut or cookie party before the service they attend on Sunday, May 18th. Consider your family officially challenged. Will you accept the challenge?? As you can see, there’s lots to jump into this month and I haven’t even mentioned Crossroads 45’s “Pajama Jammy Jam” Collision on Friday, April 11th which we hope your 4th and 5th graders will be at and will invite their lost and unchurched friends to. We hope you’ll take advantage of all that we have going on this month and be sure to save the date for our next “Watermark Kids Live!” coming up next month on Friday, May 30th! Something “SIGNIFICANT” is coming! 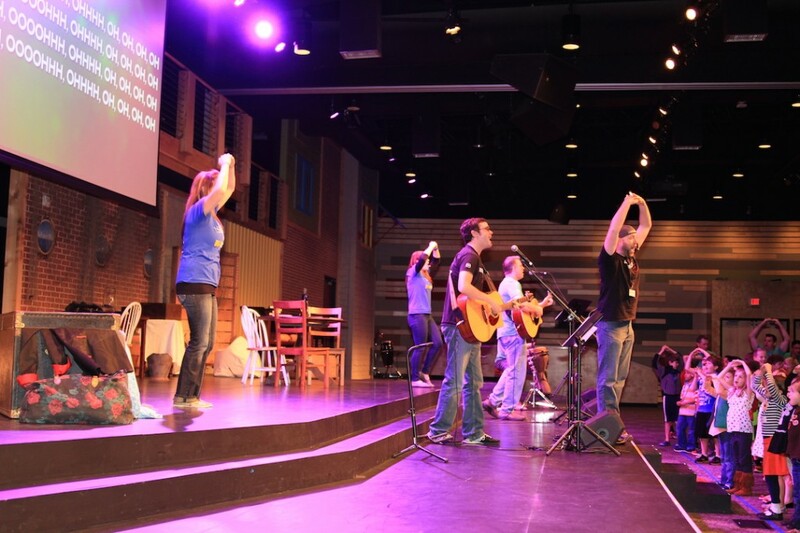 The post April Elementary News: Goodness & the Good News of Easter appeared first on Watermark Community Church Blog.